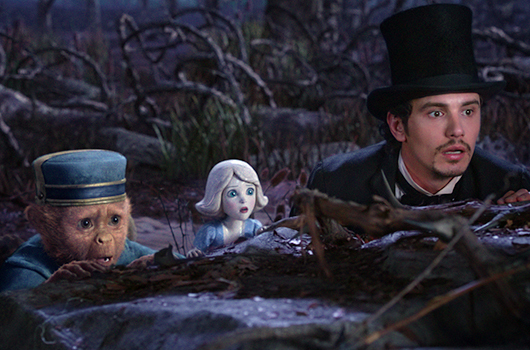 It took a lot of guts to take on the Oz property! Disney really knew what they were doing when taking on this property, they hired some of the best people in Hollywood to undertake the massive feat of creating a Wizard of Oz prequel. Sam Raimi was the perfect choice for this directing job. Raimi's ability to blend action, humor, and amazing character moments are on full display throughout the course of the film. 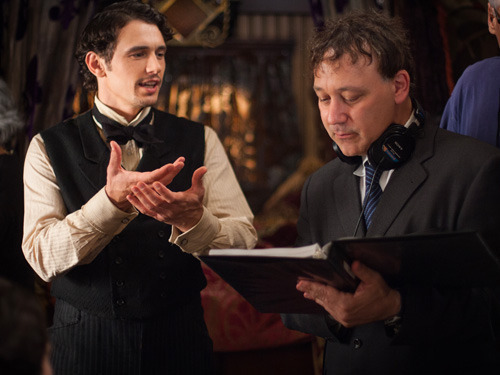 One of the initial challenges Raimi faced when he come aboard Oz the Great and Powerful was who would play Oz? His initial choices were Robert Downey Jr., who had to back out due to his Iron Man commitments, followed by Johnny Depp, who as always had a full slate of his own headlining another Disney film The Lone Ranger. This led Raimi to cast James Franco as the one and only Wizard of Oz, who Raimi was close with due to Franco's strong work as Harry Osborn in Raimi's Spiderman trilogy. Ultimately, I think Raimi made the right decision bringing in Franco to play Oz. Franco's presence was just stribgenough, but not too much to over shadow everything else that is going on as well as all the great characters in Oz. Had Downey or Depp taken the part, I feel their presence and performance would dominate the entire film. While this would have been something to behold I don't know if the film would have worked as well as a whole as it did with Franco in the role.With the younger Franco in the role, Oz has the charm of a young man trying to make his mark in the world. With Depp or Downey, it’s possible that Oz may have seemed more pathetic, perhaps an aging huckster who has never been able to truly succeed. Sam Raimi ended up making the right decision casting Franco as Oz! The rest of the cast hits on all cylinders as well. Michelle Williams is stunning as Glinda the Good Witch, whose performance pays great tribute to Billie Burke's portrayal of the Good Witch from the original film. 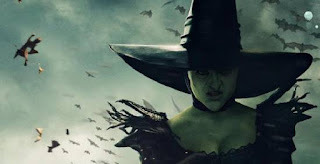 The same Goes for Mila Kunis's portrayal of Theodora and Rachel Weisz's performance as Evanora, but in much more "WICKED" ways! Zach Braff, as always let's his prototypical sweetness come out as Finely the flying monkey. embodied the spirit of Billie Burke's original performance. 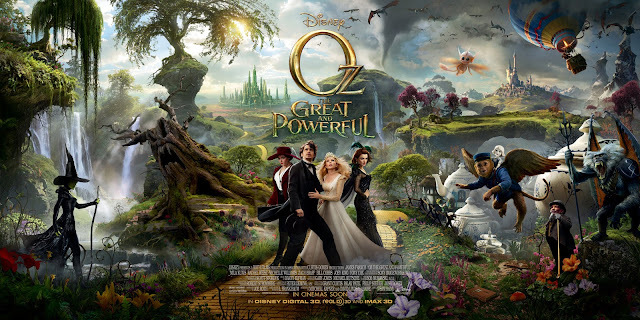 Oz and the Great and Powerful is what you expect heading into the theater: an origin story for the Wizard of Oz and his subsequent journey to fulfill that role for the people of Oz. However, the film just did everything so well by laying an amazing ground work for everything in the 1939 film in the form of things like origin stories for not only the Wizard, but both the Wicked Witch of the West and East. Raimi developed all the characters so well in this film that it made you care about the beloved characters from the 1939 film all the more. From the Cowardly Lion to the Scarecrow Raimi left no brick in the yellow brick road un-turned. Mila Kunis's performance ended up being pretty "Wicked" after all! 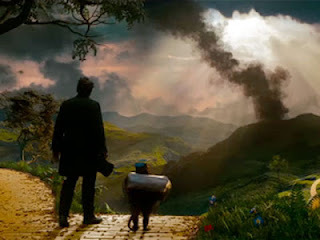 In addition to telling in-depth origin stories for many of the original characters of The Wizard of Oz, this film also took time not only add, but develop new characters such as Finley, a flying monkey who paralleled Oz's circus partner Frank (Zach Braff) in the Kansas setup of the film. Another is the broken China Doll (Joey King) who mirrored a young crippled girl who had begged Oz to heal her back in Kansas. Interestingly enough, both of these new characters were completely CG, and like he has since the original Spiderman movie, Sam Raimi knew what he was doing in this department. The CG work not only some of the best all CG characters seen to date, but also to incredible, thriving, and immersive environments throughout the course of the film while at the same time never going over the top CG wise. Prequels are a tricky thing to pull off, especially when it comes to a beloved property like the Wizard of Oz. Add in the fact that Raimi and Disney had to walk a fine line because of rights issues with the original film, and it becomes all the more impressive how well this film turned out.  Overall, Sam Raimi gave us one of best prequels to a well known property in recent memory and the best film of 2013 so far!